“…og trækronerne ligner stadig lungernes vener og arterier faktisk ikke ret sjovt at betragte denne sammenhæng når man prøver at opretholde et normalt liv”. 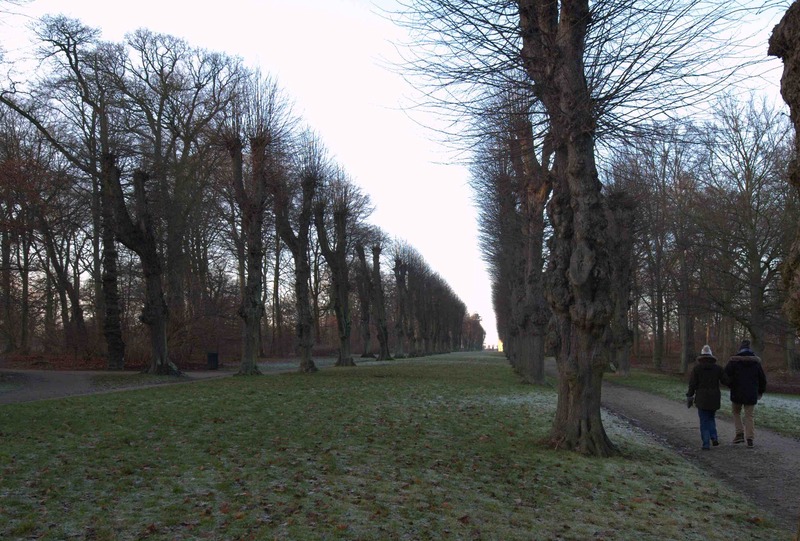 Billedet er fra den sidste dag i 2012, hvor vi gik tur i Frederiksberg have på en bitterkold, smuk dag. Vi talte en del om farfar, der nogle få dage forinden var holdt inde med at trække vejret efter et langt, godt liv. I DAG OVERLADER JEG DENNE BLOG TIL VORES LEA, SOM NETOP HAR SLUPPET DISSE ORD UD FRA SIN KOMMENDE DIGTSAMLING. 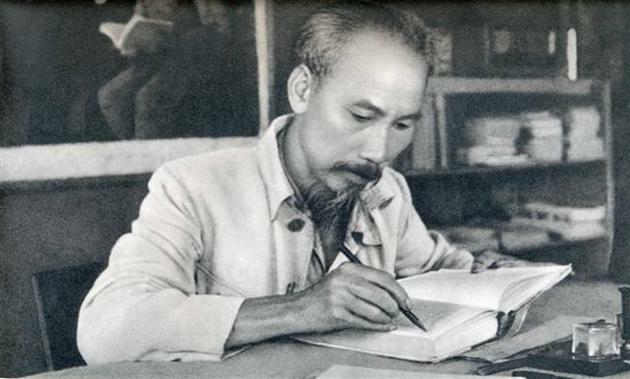 Today, I hand over my blog to Ho Chi Minh on the occasion of his 125th Birthday. Here is a poem from his famous Prison Diary written in 1942, in a Chinese jail. He was held there under unspeakable conditions as a suspected spy. Once released, his condition was so poor that his US VWII military trainers, the famous Deer Team agents, reported to Washington, that they feared he soon would be dead. At the time, Ho Chi Minh and his Viet Minh guerillas were considered an important US ally in the war against the Japanese. Ho Chi Minh did recover in his jungle hide-out, but remained frail until his death in 1969. Before the gate, a guard with a rifle on his shoulder. In the sky, the moon flees through clouds. Swarming bed bugs, like black army tanks in the night. Squadrons of mosquitoes, like waves of attacking planes. I think of my homeland. I dream I can fly far away. I dream I wander trapped in webs of sorrow. A year has come to an end here. In tears I write another prison poem. Ho Chi Minh and the later general Vo Nguyen Giap with the “Deer Team” – the US agents from the OSS (later CIA) who trained the Vietnamese guerillas during the VWII struggle against the Japanese occupation of Vietnam. 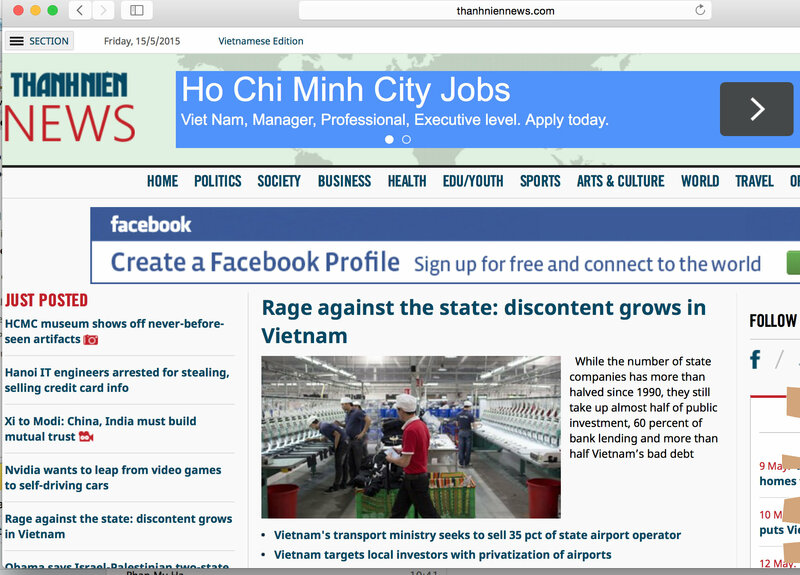 I hand over my blog today to the Thanh Nhien newspaper, lashing out against the State Owned Enterprises in today’s top story. The story is written by the Bloomberg Hanoi office. Vietnam’s state-owned enterprises were once its biggest employers, the largest revenue earners, the main growth drivers. Now, in criticism rarely seen since the nation was unified 40 years ago, their dominance in the economy is being debated. Dissatisfaction with state companies has been simmering in recent years, particularly after the global financial crisis when they were blamed for amassing piles of bad debt that crimped lending. As the government tries to spur economic growth, lawmakers are pressing for a rethink of these firms and greater support for private-sector businesses, instead. The view that the state sector should be taken down in influence is gaining currency decades after the “Doi Moi” reforms of 1986 brought market-oriented change to Vietnam. While Prime Minister Nguyen Tan Dung is aiming for record share sales this year, a leadership transition in 2016 limits the possibility of a complete overhaul of the inefficient and sometimes corrupt state companies that have held back an economy forecast to be among the fastest growing in the region. State companies’ contribution to Vietnam’s gross domestic product fell to less than a third last year from about 56 percent before the reforms, while the private sector contributed 43 percent to GDP last year, data from the statistics department showed. SOEs also had only about 10 percent of the total workforce in 2014, while the private sector had 86 percent. The government has come under increasing pressure to overhaul the system after state-owned Vietnam Shipbuilding Industry Group, now renamed Shipbuilding Industry Corp., defaulted on a $600 million offshore loan in 2010, prompting concern the country’s banking system may collapse. Two former executives at Vietnam National Shipping Lines were sentenced to death in 2013 for embezzlement. The parliament in 2013 considered a revision to the constitution to remove language stipulating that the state sector will have the “leading role” in the economy. Lawmakers eventually adopted a watered down version that affirmed their dominant position to protect workers’ welfare, they said then. While the number of state companies has more than halved to about 5,600 now from 12,000 in 1990, they still take up almost half of public investment, tie up 60 percent of bank lending and make up more than half the nation’s bad debt. Efforts to boost the private sector have yielded mixed results: while foreign investment into Vietnam has surged in recent years, it is directed primarily at export-focused makers of apparel, shoes and electronics. Success elsewhere has been limited, in contrast to the global ascent of Chinese companies including mobile phone maker Xiaomi Corp. and e-commerce firm Alibaba Group Holding Ltd. that also circumvented a system favoring state enterprises. In Vietnam, government support for private companies is “negligible and inconsistent,” and they face many challenges including limited financial resources as most banks favour state firms, said Hoang Van Dung, vice chairman of the Vietnam Chamber of Commerce and Industry in Hanoi. Despite the growing resentment of SOEs, there may be little political will to alter the landscape significantly, with a leadership transition looming next year, said Christian Lewis, Asia analyst at Eurasia Group in New York. “Politicians will be very reluctant to challenge the wealthy and powerful vested interests in the state-owned sector at a time when they need financial backers and backroom influence,” Lewis said. While more companies are being partially privatized, the volume of state ownership is not seeing a precipitous drop, “indicating that the government is not willing to give much ground on ownership and management questions,” he said. Six of the top 10 companies by market capitalization on the benchmark VN Index are still partly state-owned, compared with four out of five in 2000 when the index was established with five stocks. Market economy is fast on the rise in communist Vietnam. 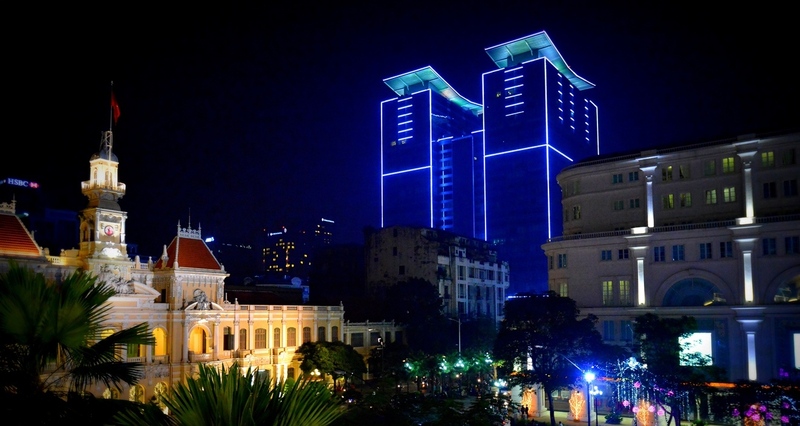 The new billion dollar Vincom complex dominates the skyline in downtown Saigon. The old colonial town hall is still the headquarters of the People’s Committee. Today, I hand over my blog to Andrew Lam and his views on present day Vietnam, including the big question: Who is winning the peace? Forty years have passed since the Vietnam War ended, and a parade was staged in Ho Chi Minh City, former Saigon, to commemorate that date. Yet despite the fanfare debates rage on both sides of the Pacific as to who really won and who lost that war. While the hammer and sickle and Uncle Ho’s image may still adorn T-shirts it sells to foreign tourists, Vietnam’s heart throbs for all things American, especially Apple. In 2014, in fact, Vietnam became its hottest market. In the first half of the 2014 fiscal year alone, iPhone sales tripled in this country, far surpassing sales growth in India and China. But it is not just iPhones, of course, that exemplify America’s powerful presence in Vietnam 40 years after the war ended. Facebook entered Vietnam’s market four years ago and at one point was adding a million signups a month. As of October, it had 30 million users, and that’s out of 40 million Vietnamese who have access to the Internet. On television too, America has managed to seduce its former enemy. One of the country’s favorite shows is “Vietnam Idol” (in addition to “The Voice of Vietnam” and “Vietnam’s Got Talent”). You don’t need to understand Vietnamese to follow the plot. A rural teenager appears; she’s nervous, full of self-doubt. When she sings, however, we hear a golden voice. Judges swoon. Soon, a few weeks later, she has been transformed, grows in confidence and beauty. See her studied gesture of shyness, the chic skirt, the professional hair and makeup and the flawless performance. From corporate investments to tourism, from military engagements to products, from social media to entertainment media, from the Vietnamese-American expats who return in droves to invest heavily in their homeland to a horde of Vietnamese foreign students coming to the U.S. for a much coveted American education, Vietnam is falling quickly back into America’s orbit. In 2014 the U.S. overtook the European Union to become Vietnam’s largest export market, buying nearly $29 billion worth of goods, and it sold more than $5.5 billion worth of products to Vietnam. Last October, to deepen ties, Washington eased a ban on weapons sales to its former enemy, mainly to upgrade Vietnam’s naval defenses. It also performed its fifth joint military exercise with the Vietnamese military, despite China’s objections. China has reasons to be nervous. It now claims 90 percent of the South China Sea, all the way to Borneo, amid international protests. This vast stretch of water provides shipping lanes for more than half of world trade. And for the U.S. alone in 2012, an estimated $1.2 trillion worth of goods transited through it. Under that sea, too, lie untold oil pockets and natural gas, the stuff that could make or break an empire for the next 100 years. But by claiming control over this international body of water, Beijing is spurring a warming of relations between the U.S. and Vietnam. Much of that cozy relationship can be attributed to Hillary Clinton who, as secretary of state, visited Hanoi in July 2012. “Clinton’s visit paved the way for the establishment of the US Vietnam Comprehensive Partnership, which was formally laid out a year later in Washington at the July 2013 summit meeting between U.S. President Barack Obama and Vietnamese President Truong Tan Sang,” noted The Diplomat, an Asia-focused news website. How important is this breakthrough? Very. Less than a decade ago, Hanoi had considered China as its strategic ally, but not anymore. Vietnam is asking to buy more weapons from the U.S. so it can defend itself from China. Clinton, who’s running for president in 2016, considers the Pacific region the top priority. In “America’s Pacific Century,” an essay written for Foreign Policy in 2011, she noted, “One of the most important tasks of American statecraft over the next decade will … be to lock in a substantially increased investment — diplomatic, economic, strategic and otherwise — in the Asia-Pacific region.” All this is to say Vietnam will continue to be a big blip on America’s radar for years to come. But beyond geopolitics, the Vietnamese have for decades been fascinated with America, thanks in large part to Vietnamese-Americans. An unexpected but crucial consequence of the Vietnam War was the subsequent mass exodus of its people in the aftermath. The largest, wealthiest and most educated Vietnamese overseas population now resides in North America, and in the post–Cold War period, they began to exert powerful influences in Vietnam’s economic and cultural life. Remittances sent from the Vietnamese Diaspora average about $12 billion a year, that’s almost double compared with the average $7 billion annually sent by international donors. On top of remittances, however, “overseas Vietnamese have invested in about 2,000 projects, generating about $20 billion annually” notes the Voice of Vietnam, the national radio broadcaster. The combination of overseas Vietnamese remittances and investment amounts to about 18 percent of Vietnam’s GDP. What this means on the ground is that a sizable population of Viet Kieu — Vietnamese expats, former boat people and their children — now wield considerable leverage in their homeland. From opening wine shops to creating startups, from running high-tech companies to working as executives for major foreign companies in Vietnam, from starting art centers to making movies or teaching at universities, expats have become active agents in changing Vietnam’s destiny. Tragicomedy, indeed. The 6.000 or so marchers who walked about downtown Saigon to celebrate North Vietnam’s victory over the capitalistic South and its imperialist U.S. ally forty years ago, also marched by an array of Starbucks, McDonald’s, KFC and Burger King and Apple stores that line the streets. Military victories aside, it sort of gives the spectator an idea as to who is actually winning the peace. Lea with Hoa – a dignified communist with his own interpretation of communism. 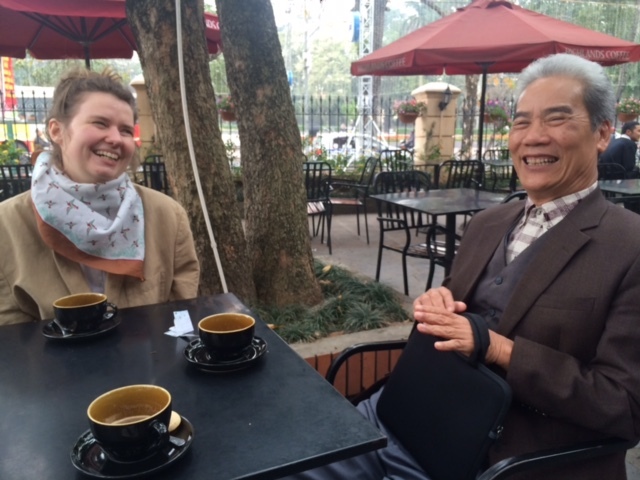 Our Lea did this essay during her recent visit to Vietnam – an excerpt from her forthcoming book: Trip to Hanoi. It’s just before noon. I am sitting on our balcony at Sunrise Resort. I have a view of the pool, palm trees and behind them, the sea. Emeli, my luminous friend, is lying in bed reading. We are the only guests, we’re here out of season. Emeli and I, we’re the funny queens of the lonely hotel. We’re staying on Cat Ba, an island in Ha Long Bay in northern Vietnam. When I look at the sea and the boulders sticking out of the water, all I can think about is The Deer Hunter. The movie takes place in southern Vietnam towards the end of the war, but was shot in Thailand. It came out in 1978, only three years after the end of the war; Vietnam was not a good place to shoot American movies at the time. I prefer the first part of the movie, the one that takes place in Pennsylvia. The long wedding scene, where one of three friends is getting married before they’re all going to war. I didn’t think about the war during the wedding scene, only about Robert De Niro, who’s trying to touch the arm of his friend’s girlfriend but is too scared, about the dancing and the band, about the dirty and loving party that a wedding always is. And when the soldieres are all of sudden already there, when they’re lying in the jungle shooting guns in the Me Kong Delta, it is evident how impossible it is going to be for them to share any of their experiences with those who have stayed behind waiting. It’s the wars between Vietnam and China that come first at the War Museum in Hanoi, busts of war lords in Ghengis Kahn-like uniforms from a thousand years ago. Of course war history must be told chronologically, one must begin with the beginning. The American war has not made a unique impression in Vietnamese war history, this for one thing because there is a great ambitions in Vietnam to keep up a friend relationship with the U.S. American freedom ideals were an important inspiration for the leader of the resistance movement Ho Chi Minh, who even during the war emphasized that Vietnam was not at war with the American people, but with the American government. The American invasion was the last of many, before it there were the French, the Japanese, the French again before that China, the oldest and most important enemy. I met two Americans when I was out walking this morning, I couldn’t tell if they were a couple. They were staying at another beach resort identical to ours further down the beach. The man was very eager to talk to me and find out who I was, he found it creepy that there weren’t any tourists, he and the woman were alone at the hotel, the man said that it reminded him of The Shining. They had travelled to Hanoi to work at a clinic for people with physical deformities, as a result of Agent Orange! But then I remembered my tactlessness with the two Americans we met on the boat yesterday, two young men who had their college fees paid by the military. We talked about our work instead, and said good bye in a peaceful manner. April 30th 2015 is the 40th anniversary of the end of the Vietnam war. This is a short and long time. My father has told me that there are several American aid programs in Vietnam today, and even that there are Vietnam-veterans that have come back to live permanently in Vietnam, married to Vietnames women. But the American government will not take responsibilty for the children that are still born with deformities as a consequence of the remains of Agent Orange, a chemical that the American military dumped from airplanes into the jungle during the war. It was in order to document these consequences that my father first came to Vietnam i the 1980’s. 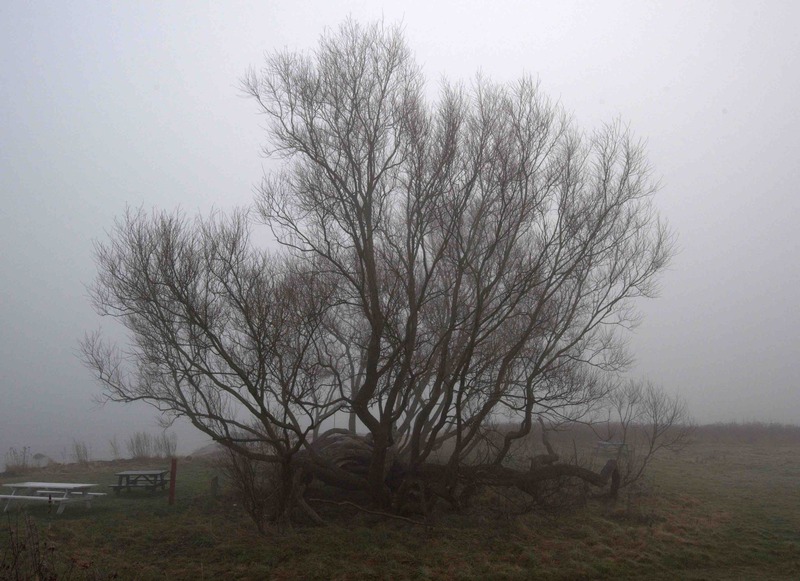 He and his friend Johnny, a photographer, wrote features for Danish leftwing newspapers such as Land and People. My father was in his late 20’s the first time he was in Vietnam. In his office at the factory in Hai Duong, where he is now the CEO, there are photos of him, this skinny blond man in jeans, drinking tea with various members of the Vietnamese government at the time. He was only a little older than I am now. 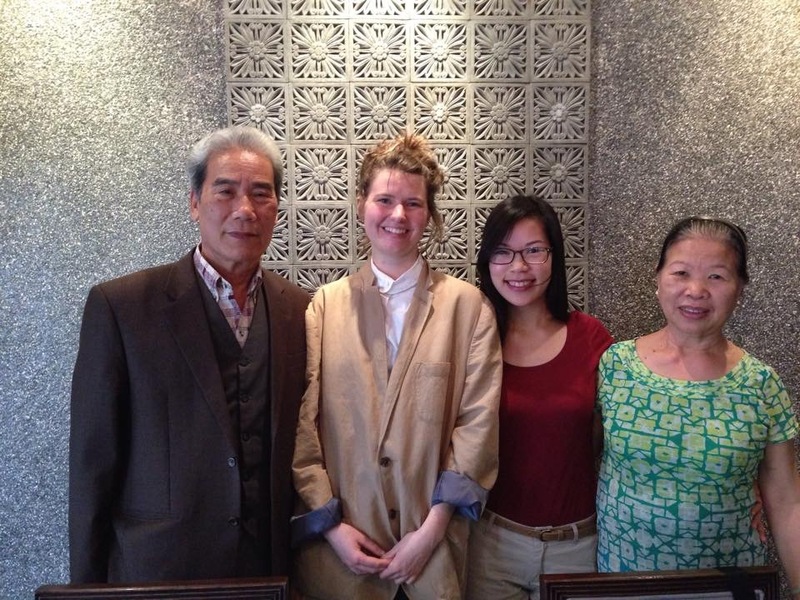 A couple of days ago, we had lunch with my father’s girlfriend Hien’s parents. Hien is my age and her parents are both about 70. Oanh and Hoà have experienced the American war in the 1960’s and 1970’s, the communist reforms after the war in the 1970’s and 1980’s, and then Doi Moi – the Vietnamese glasnost during the late 80’s, that resulted in the Western trade embargo against Vietnam was lifted. They have experienced a gradual economic flourishing in the 90’s, 00’s and 10’s. I visited Hanoi for the first time in 2002, when my father had just been posted at the Danish embassy. The Vietnamese upper class and middle class are growing, and Hanoi is full of expensive cars, cell phones and motor bikes. Several new shopping centres have been built since I lived here in 2003-2004, and the street I lived on is now populated by elegant cafés and expensive clothing stores. If it weren’t for the piles of trash alongside the lake, the neighborhood would remind me of the nice part of Vesterbro, an area in Copenhagen that has gone through severe gentrification during the past 10 years. Is gentrification something peole talk about in Asia? They probably will soon, in Vietnam, Korea, Japan and China, those sorts of aggressive economies. Hoà and Oanh are war veterans, the live in Hanoi, but are part-owners of a hydro plant in Central Vietnam. They don’t speak English, Hien was our interpreter. I started by apologizing that I do not speak Vietnamese, and then they apologized for not speaking English. The conversation was slowly and careful, I didn’t know whether to look at Hien or her parents when I spoke. Hoà remarked that the Scandinavian welfare state is an ideal society. I explained that the Vietnamese fight for independence was an inspiration to the scandinavian left wing in the 1970’s. This surprised him, he didn’t know. He was wearing a nice jacket, and carried an Ipad in a sleeve, he opened it and showed us pictures from his youth. Every now and then he would dab his forehead with a handkerchief, what a charming dignity. I brought I book with me on the this journey, an extra advisor: Susan Sontags essay Trip to Hanoi from 1968. She was invited on account of her role as American war protester, and was received as a guest of honor. She was not comfortable with the politeness with which she was greeted. It bothered her that no individual ever expressed private longings or preferences, but always spoke in official terms loyal to official political views. But then she changed her mind; she finishes her essay with a renewed theory of subjectivity: On the need for irony in Western society, and for an ongoing revelation of hidden feelings, egoism and vanity. She writes of this need as her own, but that she has been challenged by meeting Vietnamese society. She concludes that the relationship between inner life and norms is different in Vietnam. That feelings have less priority. Susan Sontag wanted to feel solidarity with the people that she admired. It can be exoticising to want to define egoism as a specific Western phenomenon. However, I did recognize her portrait of the Vietnamese in Hien’s parents. They had no need for dram or sentimentality: Hoà tolds us that his curly hair was a significant problem in the early 80’s, at a time when any decoration was considered capitalist decadence. He was forced to shave his head in order to prove to authorities that his curls grew back naturally and therefore were not articifically created. That if a bottle fit in the bottom half of a pant leg, the pants were declared decadent bellbottoms and were cut open with scissors immediately. I said with my usual cheekiness that I am a Marxist, that I wanted to find a way to run societies that did not include censorship or moralism as it does in Vietnamese politics, but that can introduce a definition of freedom different from that of neoliberalism. Or: Another ideal than that of freedom and individualism. Hien was surprised by this and asked Emeli if she was a Marxist as well. Emeli answered that she agreed with me in many ways, but that she was not entirely certain when it came to ideology. Afterwards, Hien translated, and her parents nodded. Hoà spoke, and she translated: He was a Marxist as well, but did not have the same interpretation of Marxism as the Vietnamese government. With Hoa, Hien and Oanh in March 2015. I was worried that Oanh felt left out because she wasn’t participating in the conversation. I tried to think of what to ask her, and wonderd whether it was me talking too much, me, the cheeky one, controlling everything and missing it all. We left the restaurant at two, Hoà was going to join us at the war museum, but Oanh was going home. Is she going to rest, I asked, but no, she sang in a choir for elderly ladies. We were thrilled by this, and she looked happy that we were interested. We are going to see her sing tonight when we get back to Hanoi, there is a concert to celebrate International Women’s Day tomorrow. At the war museum, Hoà wandered around in his nice jacket and a discreet smile, he pointed out mines and weapons for us, ones that he remembered, he explained how they worked. The smile stayed in his face, there was no evident grief or heroism. This was accessories from the past, objects from everyday life, like when my parents talk about their first camera. Later that day I asked Hien if my with my father hadn’t told her about my poltical beliefs. Maybe I haven’t told him either. I have been uncertain. Now I am certain, on the verge of euphoria, because this is what certainty is like, an insane motor in the brain. I have visited my father’s factory: All employees have safe and comfortable work conditions. There are two doctors stationed at the factory, and a free lunch cafeteria. If employees are hurt in traffic accidents, which happens frequently, funds are raised amongst the staff to support the injured employee’s family, after which the board of directors double the collected amount. It is not a question of whether the employees get in accidents on their way to work, it is no matter when. It resembles a welfare state than a workplace, something I that worried me during my sad time spent with Slavoj Žižeks neo-marxist theory. As a 22-year old I read in his book Violence that Corporate Social Responsibility is a way of neutralizing capitalist exploitation, a mask to hide the ugly face with as Žižek with usual pathos puts it. And I am certain that many companies use CSR to wash their hands, as any term can be used to wash your hands. But sometimes there are real consequences behind the term. Marxism can be so ridiculous, so caught up in a world of ideas. Marxism can be used to pull any joy, any consideration out of itself and turned into a mask covering an ugly face, the face of evil. In that sense, Marxism can resemble Freudianism, as it does for Žižek, the fool, the giant fool, I get upset just thinking about him, the fact that he seduces so many university squrriels like the squrriel I myself was with acaedemic writing of such poor quality. Most important of all, we must let go of Lacan, Freud and the idea of eternally unrequitable desire. Psychoanalysis has always been the philosophy of the bourgeois, and of course nobody today can break free of the bourgeois class: We are all neurotics, because our economic system is neurotic, individualistic and anxiety-provoking. We need a new communism everywhere, in Europe, in the U.S., in Africa and in Vietnam, where stars and hammer and sickle literally hang as decorations in the street, musealized and glittering like the embalmed body of Ho Chi Minh in the mausoleum in Ba Dinh Square. Ho Chi Minh’s body was embalmed against his will, he had asked to be buried under a tree, can you imagine a cruder treatment of corpse? Vietnam is troubled by tough censorship, corruption and global market economy. It has nothing to do with communism. We need a new communism in the world that does not neglect decoration, that does not neglect the individuals wishes for pretty things and recognition and love. We need a new communism that does not neglect the need for peace, the heritage that every human life is tangled into, that does not encourage children to turn against their parents and school teachers at any given occasion. We must protest against the inequality that exists, w must be angry with the structures that keep these inequalities in place. But it won’t work without patience. It won’t work without the care it takes to dab a forehead with a handkerchief on a hot day. If we give up our tenderness for a higher goal, this highness is already lost. Then there this is nothing left but dictatorship or worse, freedom to be left all alone.